Lifetime.Hosting. Pay once - Host forever. on this offer now, you won't get to see it again. You obviously understand the value of Lifetime.Hosting. You own a business and you need less recurring headaches and bills. We're going to help you put more money in the bank every month. You've already taken advantage of our offer because you understand the value of paying once for lifetime usage. We will triple your storage and triple the number of accounts you can host. For the same low price you just paid. Just $67.00 for Lifetime.Hosting for 12 Websites with 12 GB Storage. Tomorrow this upgrade costs $219.80. That's more than 71% savings - right now! Bonus Just Added! Double up your bonus domain registration. That's 4 domains instead of 2 .co.business, .co.education, .co.financial, .co.network, .co.technology, .co.place or .co.events. This new customer one-time-offer is only available right now, while you're on this page ... and not available to anyone else. And we will never open this price to the general public - only you and the other fast acting customers. Because of the extreme value of this offer you get to see it just once - if you leave or close this page, it'll be gone forever. Your purchase of this upgrade package is also covered by our "100% satisfaction guarantee" for 30 days. A one-time investment with payback month-after-month. Now with every upgrade package we're including two additional free lifetime domain registrations and privacy. Break free from the endless cycle of year-after-year domain rewewal payments. Only at Lifetime.Hosting. Becoming an entrepreneur, and leaving the 9-5 life that so many of us wake up dreading. Stop wasting your life in mediocrity and boredom. Believe in yourself and set yourself up for success. How can you set yourself apart from all the other marketers who are trying to sell to these small businesses? How can you compete with big internet marketing companies? What can you provide free-of-charge to help pique the interest of your potential clients? Discover How to Make Money by Offering Services to Local Businesses and Stand Out From the Crowd Without Having to Compete... Starting Today! 2 Bonus Lifetime Domain Registrations - .co.business, .co.education, .co.financial, .co.network, .co.technology, .co.place or .co.events. 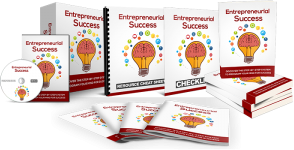 Entrepreneurial Success: Program your mind for success, find your competitive edge, the truth about goal setting, how to improve yourself every day and more. 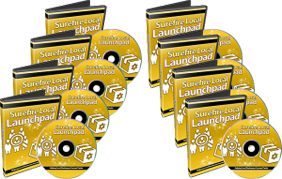 Surefire Local Launchpad - How to make money by offering services to local businesses and stand out from the crowd.